The 2018 New York Auto Show is almost a week away, but GM’s Cadillac division has already released info on one of the vehicles that will be making its global debut there. 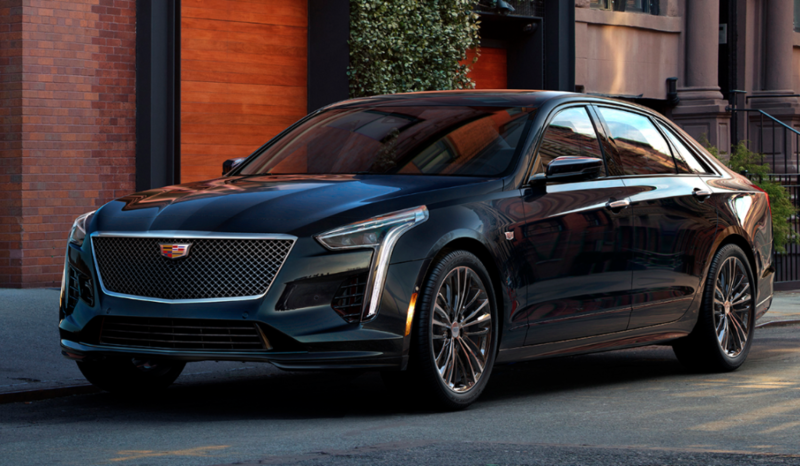 The 2019 Cadillac CT6 V-Sport is a high-performance version of Cadillac’s flagship large sedan; it is powered by an all-new twin-turbocharged 4.2-liter V8 and comes exclusively with all-wheel drive. The CT6 joins the existing V-Sport vehicles in Cadillac’s lineup—the 420-horsepower CTS and the 410-hp XTS—but it handily trumps them both, with an estimated 550 horsepower and 627 lb-ft of torque. 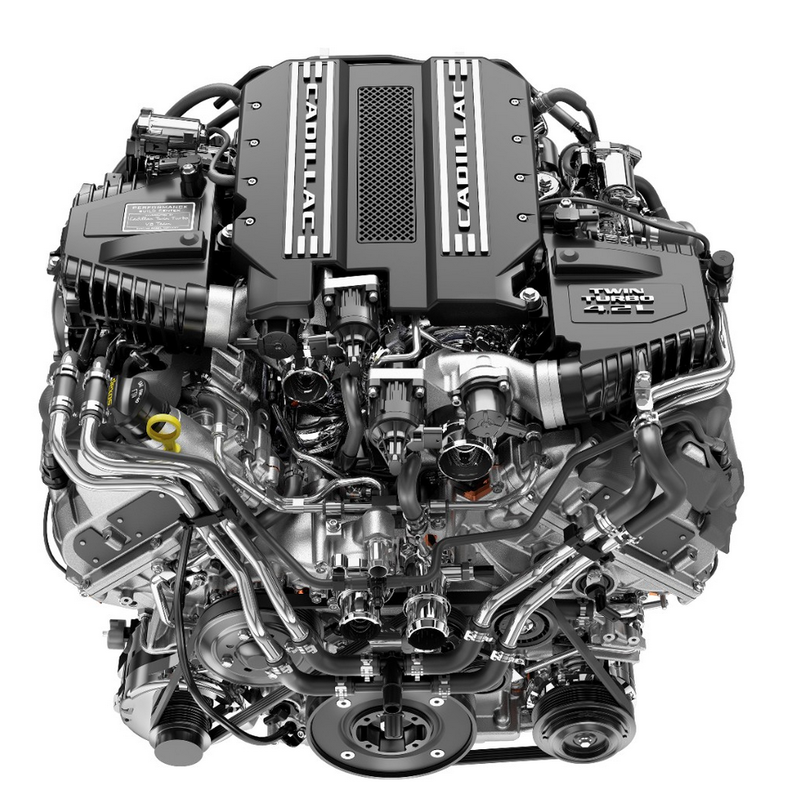 The twin-turbo 4.2 is paired with a 10-speed automatic transmission, and Cadillac says the engine is a “clean sheet” new design. The CT6 V-Sport gets a number of enhancements to complement the muscled-up powerplant, such as an active-valve exhaust system; mechanical limited-slip rear differential; performance suspension tuning with specific Magnetic Ride Control damper calibrations; unique 20-inch V-Sport wheels on summer performance tires; high-performance Brembo-brand brakes; and a modified steering feel for sportier, more-dynamic feedback. Naturally, distinctive performance-themed styling touches such as lower bodyside sills, a spoiler, and some blacked-out trim are also part of the package. In addition, the whole 2019 CT6 lineup gets a comprehensive facelift that takes after the look of the Escala concept car. Cadillac is implementing a new “Y” trim strategy for its models, with Luxury and Sport trim levels that have specific features and design personas. Cadillac also says its CUE (Cadillac User Experience) infotainment system has been updated for quicker response times and more intuitive operation. The gutsy V-Sport model is obviously the biggest news here, and its exclusive twin-turbo V8 engine is a pleasant surprise. However, we’re also impressed with the design refresh that the rest of the CT6 line is receiving as well; it strikes us as a excellent evolution of Cadillac’s “Art and Science” design motif. The CT6 V-Sport’s 550 horsepower sounds fabulous, of course, but technically V-Sport isn’t even Cadillac’s top performance trim level—that would be just the plain ol’ V, as in the ATS-V and CTS-V. Could there be an even wilder CT6-V super-sedan in the works? Written by: Damon Bell on March 23, 2018.